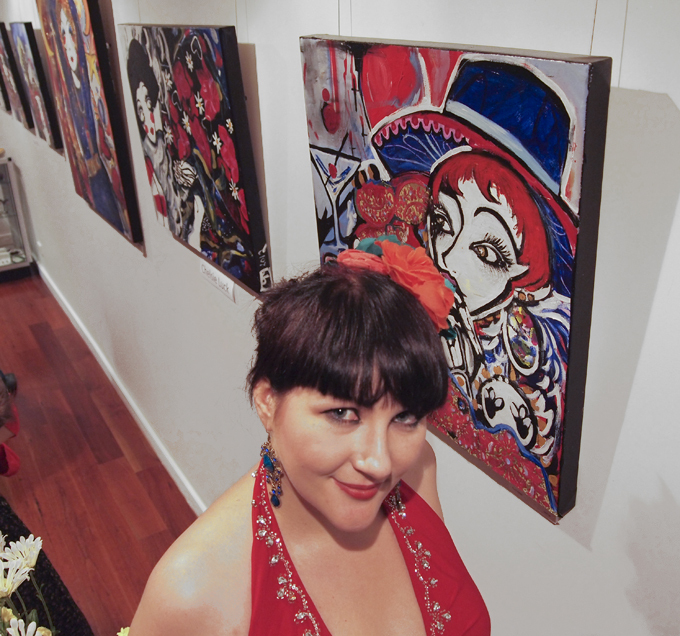 The Toowoomba art scene has few artists as stylish and enigmatic as Chelsie Luck. With an exhibition record of 10 solo shows in the last 5 years Chelsie’s practice is prolific and well defined by her autobiographical approach to subject matter. 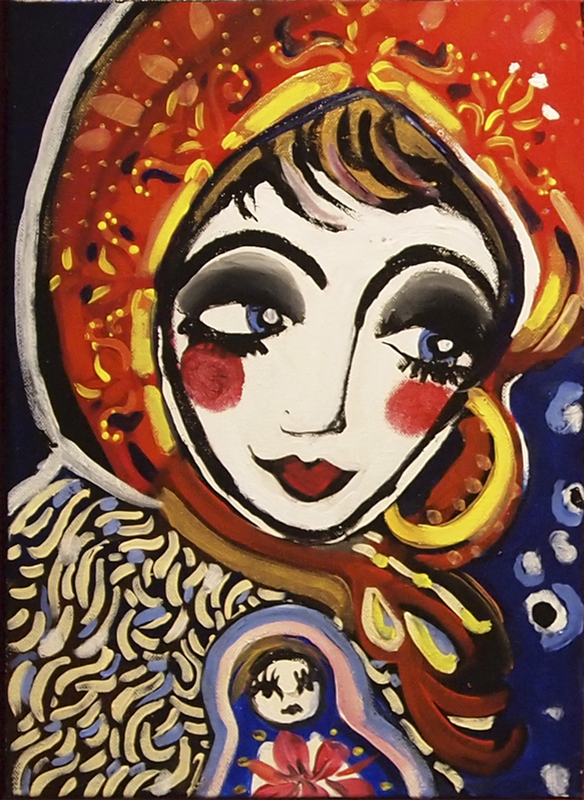 Her bight palette, wide-eyed portraits of young women have a sense of life as adventure. Chelsie’s exhibitions have formerly been held in ARIs that have nurtured her development as an artist. ARIs have provided her with a pathway to the commercial gallery and the opportunities that come come from that supporting institution. 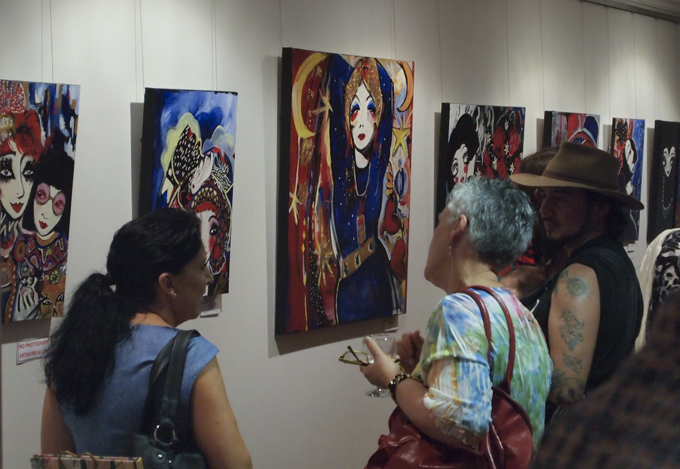 The exhibition was opened by her former USQ lecturer and Toowoomba Chronicle arts reviewer Sandy Pottinger. Sandy’s erudite and eloquent speech provides an understanding of not only the artist and the work but also to the deeper origins and influences to the artist’s practice. A YouTube video of the speech is attached below.